is the plaintiff in a case pending in federal court in Colorado (the `Colorado Action’). There, ACT sued ten John Doe defendants based on allegedly defamatory comments posted anonymously on `Random Convergence,’ an internet blog administered by Daniel Drasin, located at http:// randomconvergence.blogspot.com/ (the `Blog’). In particular, ACT lodged claims for `trade libel/commercial disparagement’; violations of Section 43(a) of the Lanham Act, 15 U.S. Code § 1125(a); and violations of the Colorado Consumer Protection Act, Colorado Revised Statutes § 6–1–105. . . . Drasin is not a party in the Colorado Action. In re Subpoena of Daniel Drasin, supra. `career guidance service firm that assists job seekers throughout their job search.’ See Complaint ¶ 7. It `assist[s] clients in developing a marketing plan that acts as a road map for the clients' job search, identifying the client's strengths and skills while providing solutions for any weaknesses, and locating industry options and opportunities in an effort to maximize the client's chances of securing gainful employment.’ Id. As noted, Drasin is the administrator of a blog known as Random Convergence. See Affidavit of Robert J. Gerberg, Jr., President & Chief Executive Officer of ACT, ¶ 9 (`Gerberg Aff.,’ ECF 6–4). According to ACT, Drasin exercises editorial control over the blog. Id. Since approximately 2007, individuals have posted over 350 anonymous comments on Random Convergence, many of which disparage ACT's services. See id. ¶¶ 11, 17; Opp. Exh. C at 16 (ECF 6–3) (screen prints of posts and comments about ACT on Random Convergence). ACT claims the anonymous postings are `a sophisticated and coordinated campaign’ intended to `damage ACT's business and reputation.’ . . . In its view, `[t]he entries on Random Convergence are designed to maximize the effect of the blog by sending spam and driving up the blog's rankings and visibility in the search engine Google.’ Gerberg Aff. ¶ 15. ACT reports it has `received numerous emails from potential or current clients stating that because of the blog, they will no longer be using ACT services.’ Id. ¶ 27. Additionally, ACT claims it has `asked to post comments on the Random Convergence Blog to rebut some of the false statements, but Mr. Drasin refused these requests.’ Id. ¶ 32. U.S. Magistrate Judge Mix authorized expedited discovery and granted ACT's motion for leave to serve third party subpoenas on Drasin. As noted, two subpoenas were previously issued to Drasin by this Court. They commanded him, in his individual capacity and as administrator of the Random Convergence blog, to produce the`“true name, address, telephone number, e-mail address, and Media Access Control address of each of the ten Doe Defendants,’ based on `the IP [Internet Protocol] addresses from which they posted and edited posts about [ACT] and its employees.’ . . .
`If any of the non-anonymous options are used, the comment will appear on the blog with the comment beginning as follows: “ says . . .” followed by the comment. If the poster chooses to use a Google-account-name, the moniker will be underlined and selectable in the viewing webpage. Selecting the moniker takes one to the public information that the poster/Google user has chosen to make available. further advised that most individuals who posted comments on the Blog did so anonymously, and he explained that he had no records of those who chose to remain anonymous. . . . Drasin did, however, provide the information he possessed about the commenters who had not posted anonymously, all of which appears to be information that would be available to anyone who visits the Blog. . . .
Drasin has an account with Site Meter, and he advised ACT that Drasin `is amenable to providing [ACT] with an authorization so that [ACT] can access [Site Meter's] records.’ . . . He concluded: `Mr. Drasin denies that he has done anything improper. If you have facts to the contrary, please provide them. Otherwise, I assume that this exercise is a fishing expedition and would remind you of your obligations to the Court.’ . . . In re Subpoena of Daniel Drasin, supra (emphasis in the original). 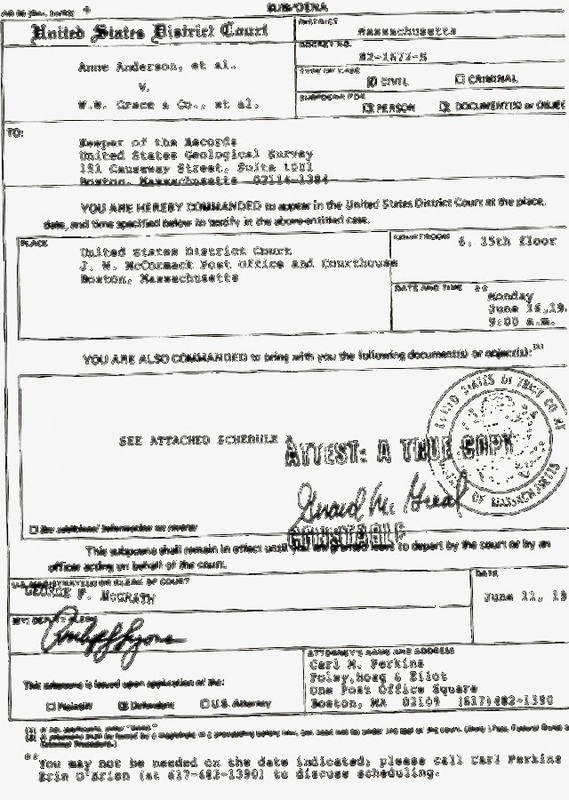 ACT served Drasin with the Subpoena on December 28, 2013. In re Subpoena of Daniel Drasin, supra. It orders Drasin to produce “`[a]ny hard drives, servers, and any other devices used by YOU to administer the Random Convergence Blog and data stored online via website or application. . . .’” In re Subpoena of Daniel Drasin, supra. On the same day, Drasin’s lawyer emailed ACT and asked if it had subpoenaed Site Meter. In re Subpoena of Daniel Drasin, supra. That brings us back to Drasin’s motion to quash the subpoena directed to him. He sought to quash the subpoena under Rule 45(c)(3) of the Federal Rules of Civil Procedure, which lets a judge quash a subpoena if it “subjects a person to undue burden.” In re Subpoena of Daniel Drasin, supra. The judge found the subpoena did, indeed, subject Drasin to an “undue burden.” In re Subpoena of Daniel Drasin, supra. two types of burden on Drasin. First, in order to comply with the subpoena, Drasin must surrender his personal hard drives to ACT for up to thirty days. Personal computers generally cannot function without their hard drives, so this requirement would force Drasin to spend up to thirty days without the use of his personal computer. . . . In today's technology-dependent world, this burden is significant. Second, forcing Drasin to surrender his hard drives to ACT would give ACT access to Drasin's personal files. ACT also suggests Drasin must be withholding relevant information because `if Mr. Drasin really possessed as little information as he claimed, why did he spend so much time and money fighting the subpoena in the first place?’ Status Report at 2. However, just as juries are instructed not to draw negative inferences from evidentiary objections, the Court will not infer mendacity from Drasin's decision to exercise his legal right under Federal Rule of Civil Procedure Rule 45 . to object to the subpoenas. In sum, it appears from the record that very little benefit, if any, will result from the Subpoena. ACT has not proffered any credible reason for the Court to disbelieve Drasin's contention that he does not have the information sought by ACT. Requiring Drasin to grant ACT access to this personal information certainly constitutes a burden. . . . Magistrate Judge Mix's order prohibits ACT from using Drasin's personal information for any reason other than to protect its own rights in the Colorado Action, but even a limited invasion of one's privacy is still an invasion. These burdens are particularly troubling considering that Drasin has not been accused of any illegality, nor is he a defendant in the Colorado Action. Rather, he is merely the administrator of a blog on which other individuals posted allegedly defamatory comments. In re Subpoena of Daniel Drasin, supra (quoting U.S. v. Arnold, 454 F.Supp.2d 999 (U.S. District Court for the Central District of California 2006)). ACT was unable to obtain the requested information from Site Meter. But, the information it seeks is available from at least one other source: Google. Indeed, ACT's motivation for subpoenaing hard drives and servers owned by Drasin is curious because, as ACT acknowledges, . . . Random Convergence blog is hosted by Google, and not on a hard drive or server owned by Drasin. District Court of Colorado has already granted leave for ACT to serve a subpoena on Google, but the record does not reflect whether ACT has served that subpoena on Google. If ACT has chosen not to serve the subpoena on Google, it has failed to explain adequately its reasons for declining to do so. Alternatively, if ACT did serve the subpoena on Google and Google was unable to provide ACT with the information it seeks, then it would be even less likely that Drasin possess that information. She therefore granted Drasin’s motion to quash the subpoena. In re Subpoena of Daniel Drasin, supra. "Using Wireless Telephone While Driving"